All the way in the southern Caribbean, outside the hurricane belt, Bonaire boasts amazing diving and snorkeling, white beaches, great windsurfing plus amazing nature and wildlife, incl. Bonaire's pink flamingos. Bonaire... where the people are friendly and welcoming. With its amazing nature and the pink flamingos, Bonaire is mostly known for great diving and other water sports like snorkeling, kitesurfing, windsurfing, freediving, sailing and kayaking. 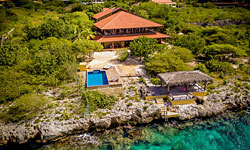 Contact me at bonaire@gobeach.com or call 1-888-71BEACH to help you with booking your accommodations. Wij spreken ook Nederlands (we also speak Dutch). This island is one of the ABC Islands (Aruba, Curacao and Bonaire). Just north of Venuzuela and part of the Netherlands but uses US$ as its currency. It is part of the Leeward Islands. 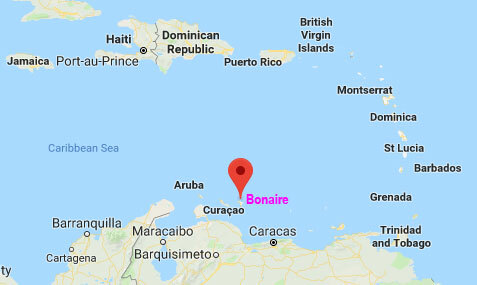 Bonaire sits outside the hurricane belt. A relatively dry Island with rainy season from the last week of October to the end of January. Mostly just rain at night or in the morning. The whole Island is 110 square miles. The northern part of the island is a nature sanctuary, Washington-Slagbaai National Park. The southern part of the Island is flat with a few hills, hardly any vegetation and natural resources other then white coral beaches and salt. The southern tip of the Island is a series of giant water filled salt pans of sea salt and a flamingo sanctuary. The official language is Dutch and Papiamento but every one speaks English as well. The best beach is Klein Bonaire, which is a little Island right off of Bonaire, you can get there by water taxi in 15 min. Great for snorkeling and just relaxing on the beautiful white soft sandy beach. There are no facilities or buildings on this Island. Pack a nice lunch and enjoy the day! Sorobon beach Beautiful shallow beach great for families with kids. Sit, relax and watch the windsurfers practice their tricks. Enjoy a drink and some food at The Hang out Beach Bar. Te Amo beach This together with Donkey beach is the local people’s favorite. On the weekend it is busy with BBQ’s , playing and swimming. There is also a nice reef that you can swim to for great snorkeling. For some food and drinks there is a food truck called Kite City with excellent fresh fish dishes. Lac Cai beach You need to take an unpaved road to get to this beach. Once there, the beach is stunningly white and has amazing views of the mangroves. On Sunday afternoons locals gather here for live music and snack’s at La Cai’s beach shack. Although Bonaire is known best for its marine life with great diving and snorkeling, it also has the following to offer: Windsurfing: Lac Baai is great for pros and beginners as well. 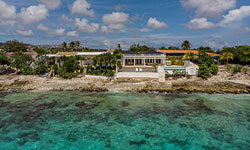 There are great restaurants on Bonaire. You can choose from fine dining to local snacks with wide ethnic diversity. Also lots of vegetarian and vegan options. Check out "Swiss Chalet", a local favorite serving fondu. Bobbejan's is an extremely popular weekend-only barbeque joint. Other cuisines common on the islands are Argentine, Italian, Indonesian, Surinamese, and Chinese. Island-made ice cream is available in many places, with Lovers Ice Cream being a local favorite. Arrive before noon, as they often sell out. 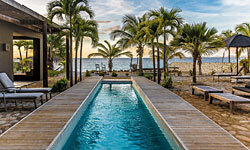 Browse our catalog for villas, condos, and apartments. Many different price levels. There are direct flights from the United States (incl. Newark, Houston, Atlanta, Miami...) and Canada. 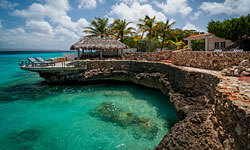 From Latin America you usually have to travel via neighboring islands Curacao or Aruba. 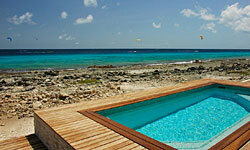 Fly from Europe via Amsterdam directly to Bonaire!